Should There Be 'Rules Of The Road' For Pedestrians? Tabish Khan Should There Be 'Rules Of The Road' For Pedestrians? 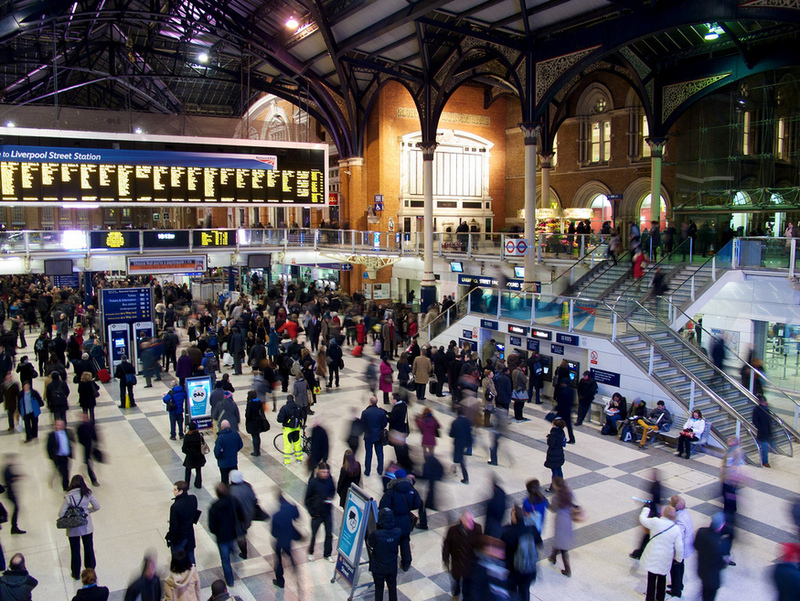 Rush hour could become less chaotic if only there were some rules for walking. Image taken by Andrea Vail from the Londonist Flickr pool. Let’s face it: drivers, cyclists, pedestrians — there are bad examples in all these categories. The difference is there are lots of rules for drivers and cyclists, but very few for pedestrians. So would it be a good idea to apply some of the rules of the road to the pavement? We think some are transferable so we’ve come up with some guidance for the walking masses. We all know you drive on the left, at least here in the UK, and that with some exceptions the left hand side of the escalator is for walking. So why does all hell break lose when we’re walking anywhere else? Progress would be much smoother in busy areas if we all walked on the left where possible. The first place this needs to be implemented is the platform-connecting tunnel at Clapham Junction station. On a motorway the right hand lanes are for overtaking and this can be easily applied to walking as well. Slow walkers should stick to the far left and leave a gap on their right, therefore anyone who wants to overtake does so on the right. But just like on the road, if you are overtaking it’s your responsibility to complete the overtake before hitting oncoming ‘traffic’. When two lanes merge it’s common courtesy to file in one car from each lane at a time. We have a special hatred for those who ignore this unwritten rule. But people often don’t do this on the pavement and when queuing for escalators. You don’t have to be in a two tonne vehicle to know this makes sense. Anyone who has taken a driving lesson will know that before you brake or change direction you have to check your mirrors to see if the coast is clear. It would be great if every pedestrian had a glance behind them to check before suddenly stopping or jinking to their left or right. Are there other rules that should apply? Let us know in the comments below.